ufi Kinship, featuring compositions by the Great Music Legend Padmashri Pandit Bhajan Sopori, the doyen of the fabled Sufiana Gharana of Kashmir, and his son, the young Santoor Maestro & Composer Abhay Rustum Sopori, the inaugural presentation put forth for the first time on stage – a soulful dimension of Sufi music presented in a unique format by the young Sufi songstress Ragini Rainu accompanied by an ensemble of 35 musicians at Kamani Auditorium, Mandi House, New Delhi presented by SaMaPa. SaMaPa is the highly acclaimed music academy of Pandit Bhajan Sopori. The Sopori Academy of Music And Performing Arts is more than an academy and is a cultural movement credited to have brought a Cultural Revolution and to have created a new generation of music connoisseurs. 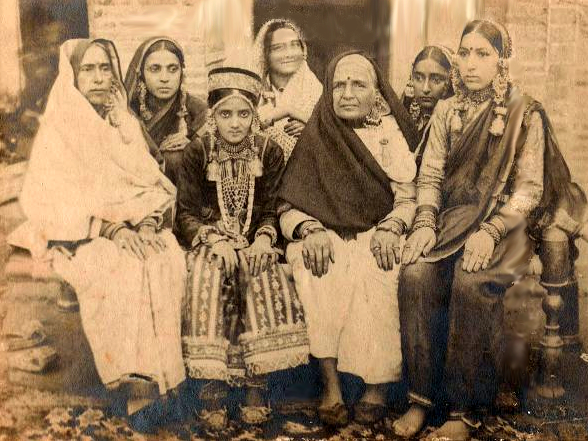 SaMaPa has presented various pioneering & path breaking festivals, programmes & productions in the last 6 years and is also acclaimed as the “Cultural Bridge” of the Jammu & Kashmir State with the rest of the country and has been awarded the Dogri Award by the Governor of J&K and the RX Club Award of Excellence. 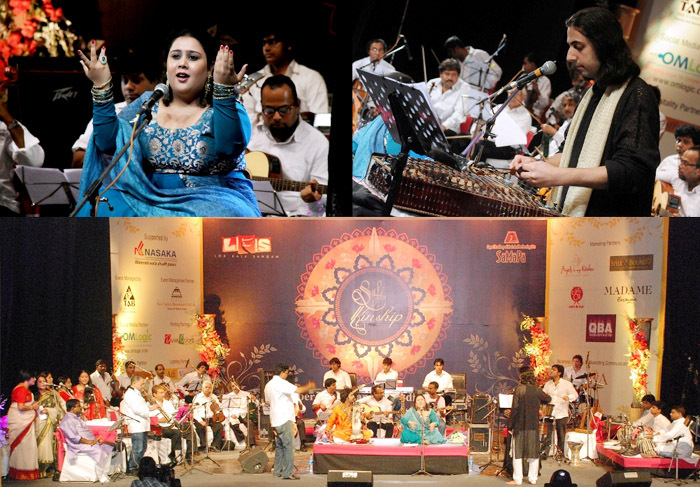 Conceived and conducted by Abhay Rustum Sopori, the Sufi Kinship programme marked the beginning of a new style and era of Sufi music presentation which combined traditional Sufi, western and contemporary musical thought while maintaining the Indian melodic framework and nuances. The inaugural presentation of Sufi Kinship featured instruments like Violins, Cello, Guitars, Soprano Saxophone, Metal Flute, Bansuri, Tenor, Santoor, Sarangi, Piano, Synthesizers, Choir, Tabla, Dholak, Percussions, Drums, etc. His Excellency, Mr. Chandradath Singh, The High Commissioner of Trinidad & Tobago, also joined the Sufi ensemble on the Steel Drum. It was for the first time that an Ambassador joined a grand ensemble. Ragini, at her best, presented 10 Sufi Qulams like Baba Bulleh Shah’s ‘Dolan Mahi’, ‘Ranjha Jogiya’, ‘Uth Challe’, ‘Allah Hu’, Hazrat Amir Khusro’s ‘Chap Tilak’, Baba Farid’s ‘Subhan Allah’, etc. 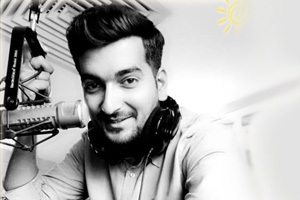 Abhay also joined Ragini in 2 songs – Shah Latif Butai’s ‘Ajab Nain Tere’ and HH. Swami ji’s ‘Jab Apne’. The Jam packed auditorium included Smt. Sheila Dikshit, Hon’ble Chief Minister of Delhi, His Holiness Swami Yogiraj Amarjyoti ji, Sh. Rajiv Takru, CEO Prasar Bharati, Prof. Aparna Sopori, Sh. Ashok Angurana, Pt. Vijay Shankar Mishra, eminent musicologist and others. Ragini Rainu, the young Sufi maestro, is the disciple of the Pt. Sopori. With a strong base of Classical Gayaki (vocal system), her style is embedded with Tayari and Bhava. Unquestionably brilliant, she is equally at ease with the traditional genres as with the modern nuances. With her individualistic style and a rich repertoire of compositions from her Guru, she is the rightful heir to the legacy of Sufi music and is India's young Sufi Diva. 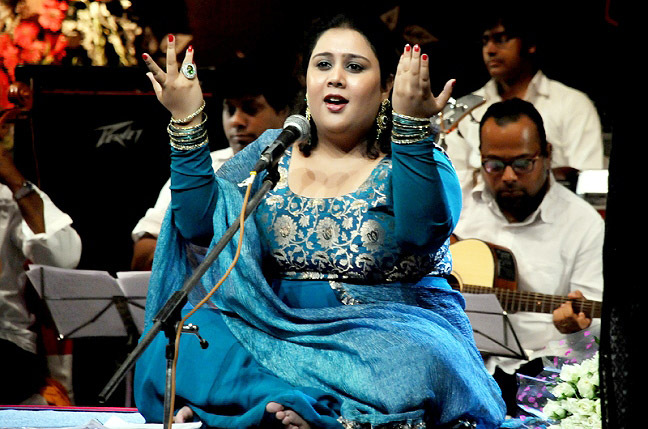 Singing raw and robust, her exuberance and her inimitable voice brings to life the ecstatic expression of Sufism, each rendition drowning the audience in the richness of this tradition and sending it into raptures. She has performed in various International festivals of India and abroad receiving wide range acclamation by music connoisseurs and critics. The Sufi ensemble owes its origin to the concept of folk ensembles introduced by Pandit Bhajan Sopori in the mid-1970s and his subsequent experimentation in the genre over the last three and a half decades. Abhay has furthered this effort putting his own distinctive stamp on the presentations often working with large ensembles of 60-70 musicians. He has also incorporated the more contemporary musical movements thereby increasing its appeal to the younger generations. 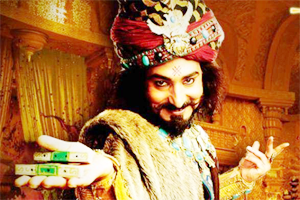 Sufi music and philosophy has become very popular in recent years and its audience has grown across the world. There are many different schools of thought that are connected with Sufism and many different musical traditions that draw inspiration from Sufi thought and philosophy. Central to all these traditions are universal principles of brother hood and an intimate connection with the divine. A Living Legend and a Musical Genius, Pt. Bhajan Sopori is more than an individual, the Santoor legend & composer par excellence, musicologist, teacher, writer, poet, he is a complete institution in himself. Panditji is hailed as the “Saint of the Santoor” and the “King of Strings”. His compositions bear the distinctive stamp of his virtuosity and erudition. A composer of more than 5000 songs, Panditji has led the revival of Sufism. He has used his Santoor and his compositions to highlight the concept of oneness and foster unity enshrining the idea of national integration, humanism and peace. For his enormous contributions, he has received numerous awards including the prestigious Padmashri, Sangeet Natak Academy Award, J&K State Award, National Flag Honour of the Arab Republic of Egypt, National Shiromani Award, Rajiv Gandhi Pratistha Samman, Delhi Ratan Award, etc. 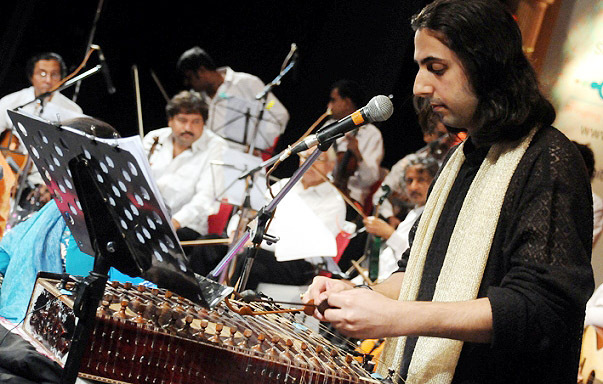 Abhay Rustum Sopori, one of the most prominent musicians of the present generation, is the youngest Santoor maestro, youngest classical musician to compose and conduct orchestras and folk ensembles, and also the youngest artist from the country to be awarded various prestigious awards like Sangeet Natak Akademi Award – Ustad Bismillah Khan Yuva Puraskar, J&K State Award, Bharat Shiromani Award, Glory of India Award, Best Citizens of India Award, Sangeet Bhushan Award, Young India Award, Juenjo Korean International Heritage Award, etc.